Dr. Nidhu received M.B,B.S from Delhi University in 2007. 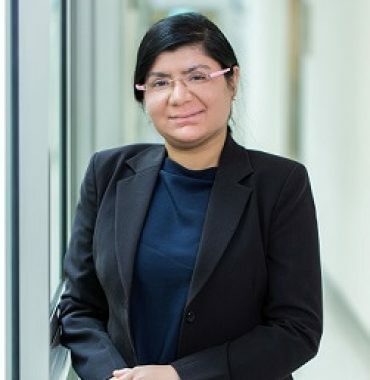 Pursuing her passion for surgery, she went on to complete her Masters in General Surgery from Singapore, along with the prestigious Membership of the Royal College of Surgeons of Edinburgh (MRCS) in 2011. She had displayed keen interest in pursuing Paediatric Surgery since her formative years as a surgeon. She trained in National University Hospital, Singapore and obtained her specialist certification in Paediatric Surgery in 2016. Her special interest is in the field of laparoscopy, for which she obtained fellowships in laparoscopy from World Laparoscopy Hospital, India, and is a lifetime member of World Association of Laparoscopic Surgeons since 2016. She also has successfully completed a fellowship in Laparoscopy from National University Hospital, Singapore. Dr. Nidhu went on to further her experience in Cambridge University Hospital (Addenbrookes), where she underwent intense training in paediatric surgery for 2 years. During her stay in the UK, she was awarded two British Association of Paediatric Surgeons (BAPES) scholarships . Organized by BAPES Karl Storz these were Paediatric 3mm Thoracoscopy and Paediatric Urology awarded in 2018 in London. She is a currently an active member of BAPES. She believes in returning to the community and has held seminars to create awareness since medical school years. Currently, she holds the post of Deputy Zone Surgeon with St. John's Ambulance since 2012 whereby she trains young cadets for Emergency care.